Lupine and Mt. 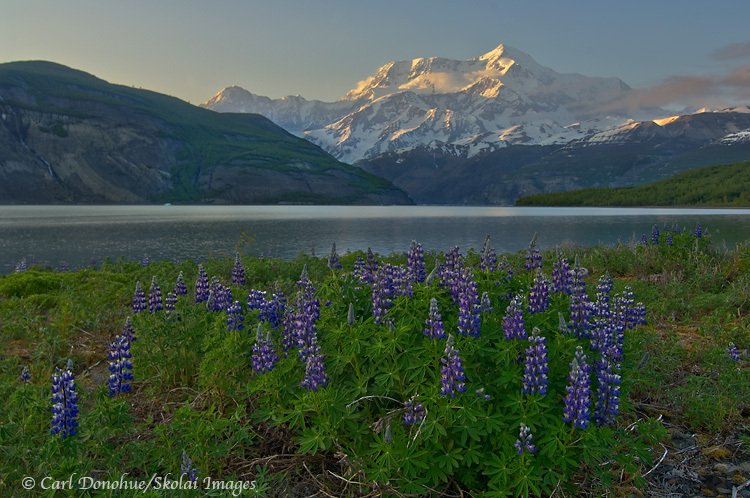 St. Elias, Wrangell St. Elias National Park, Alaska. Nootka lupine cover an island in the Taan Fjord, Icy Bay. Mt. St. Elias rises in the background. Icy Bay, Wrangell – St. Elias National Park, Alaska.